A couple from southwest Kansas pleaded guilty Monday to a federal money laundering charge, U.S. Attorney Tom Beall said. George Enns, 70, and his wife, Agatha Enns, 68, both of Meade, Kan., pleaded guilty to one count of money laundering conspiracy. At least $1.6 million in cash and $5.2 million in third-party checks was deposited into a joint account the defendants held at Plains State Bank in Plains, Kan. 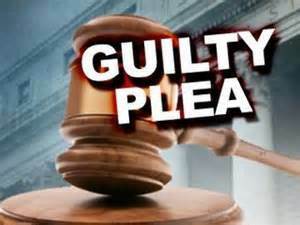 The defendants did not use the account at Plains State Bank for their own business and personal transactions. They had accounts at other banks. The account at Plains State Bank was used for the deposit of cash and checks that George Enns received during his trips to Mexico. He carried the money into the United States without reporting the funds at the border. Funds in the account at Plains State Bank were transferred out of state to purchase genetically modified corn seed. The seed was shipped to the border where the corn was transported into Mexico at the direction of George Enns. This process is called trade based money laundering. Sentencing is set for Feb. 27. The government is recommending three years on probation and a money judgment in an amount to be set by the judge. Beall commended the Drug Enforcement Administration, the Federal Deposit Insurance Corporation, the Internal Revenue Service and Assistant U.S. Attorney Debra Barnett for their work on the case.